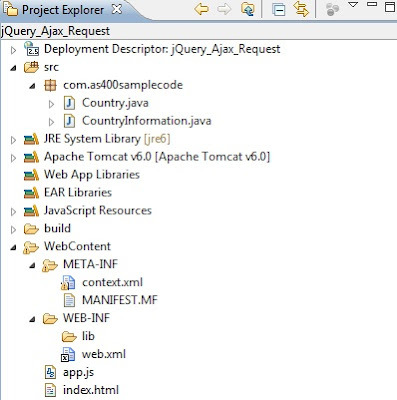 The $.ajax() method returns the jqXHR object. URL is a string containing the URL to which the request is sent and settings are a set of key/value pairs that configure the Ajax request. All settings are optional. 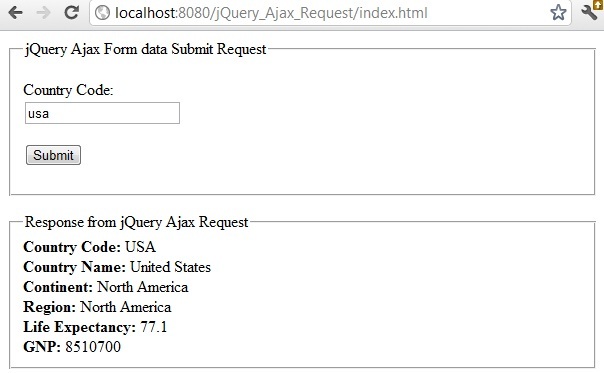 We have created a form that takes a country code and then makes an AJAX request to get more information about the country if the country code is valid. Also we intercept the request using beforeSend config to add some dummy data to the request and disable the SUBMIT button until we receive a response from the server. After we receive the response we display the results inside the ajaxResponse DIV tag.